It’s Not Just About Foods, It’s About Gifting You An Unparalleled Experience That Can Be Cherished Forever. 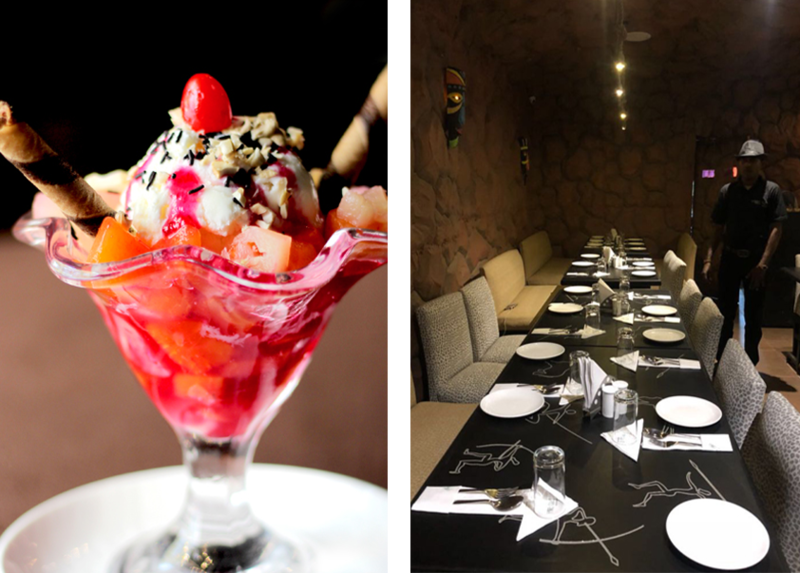 Plush interiors, cheerful chefs and a joyful ambience; you will automatically get transcended into the stone-age era as you enter the rustic, robust and resplendent Cave, one of the best veg restaurants in South Kolkata. 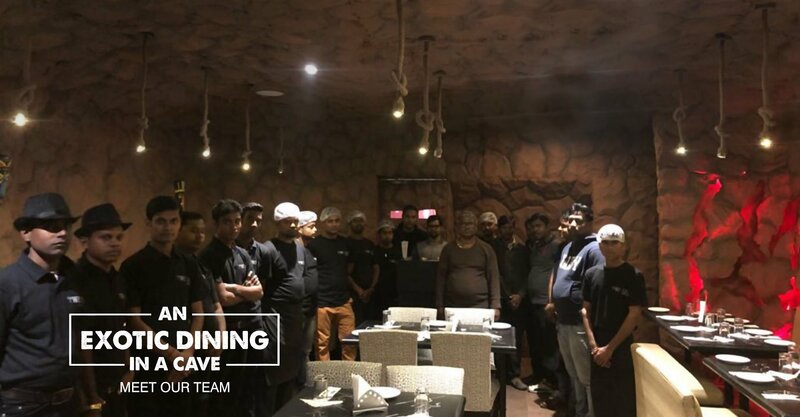 The Cave is the first of its kind multi-cuisine veg restaurant where our delicious menu is bound to make your experience magical and satisfying. Our irresistible range of Indian, Chinese, Continental gastronomies will give your taste buds a treat; while our unique décor will give you a real feel of a cave. The Cave is a veg restaurant in Russel Street and serves more than 50+ mind-blowing cuisines. Indian, Chinese, and Continental- you can have anything and everything you want in veg. I have been there for so many times now. They never disappoint me with any of their recipes. 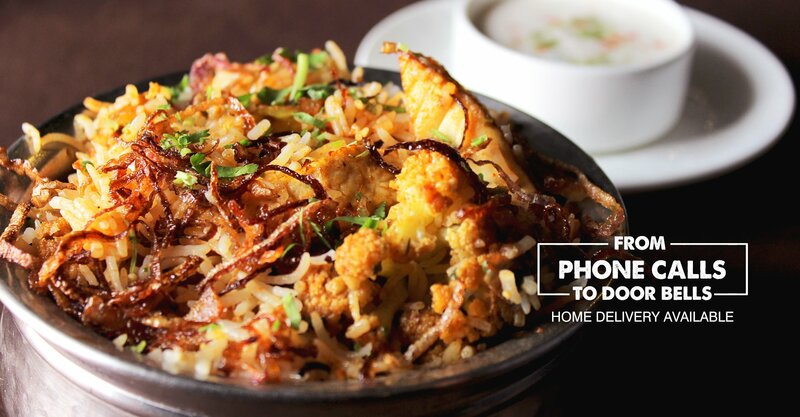 One must try their veg pulao. The best veg restaurant in Kolkata in my opinion. The Cave is perhaps the only veg restaurant in Park Street area which has the biggest food variety in their menu. There are limited numbers of pure veg restaurants in Kolkata. The cave is undoubtedly the best bet. This stone-age decor makes the ambience further special. 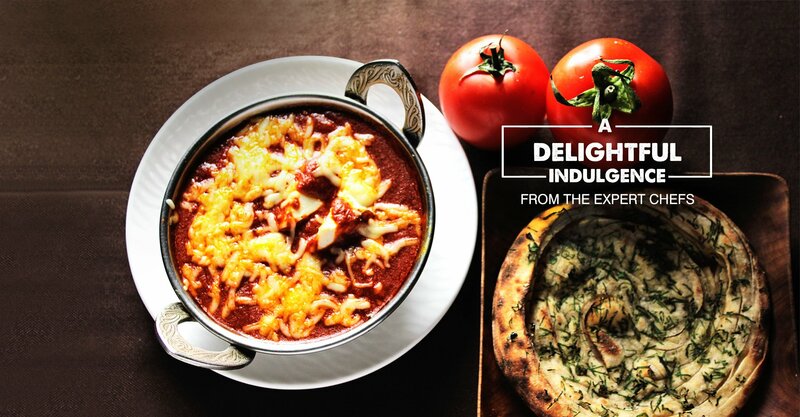 Must try dishes Paneer Sholay, Spaghetti Marinara Sauce. Heavenly delicious cuisine! The Cave, a veg restaurant in Kolkata- is a small eatery of Russell Street and just too awesome when it comes to pure veg delicacy. Food quality is great. Outstanding interiors, the stone- age touch makes it even special. I personally love their Jalapeno poppers, Crostini, and Chinese Bhel. If you have a sweet tooth, try out sizzling brownie with white ice-cream. The Cave is the best veg restaurant in south Kolkata to have multiple numbers of veg recipes in different food categories. 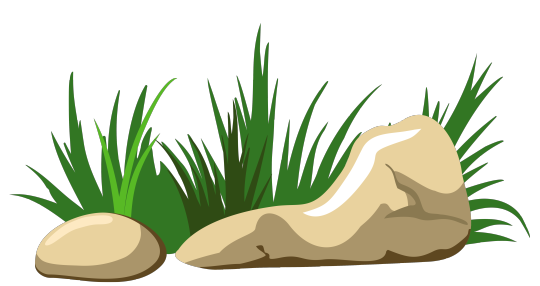 Indian, Chinese, and Continental- they serve you luscious pure veg food items at the best price. Great place for veg lovers. An absolute treat to the eyes, an amazing feast to the taste buds! The Cave is a must visit for foodies. We planned our daughter’s birthday there and we all are impressed with the kind of service they provide. The arrangement was also nicely done. The best part was food with the perfect proportion of spices. Thanks to the team for making our little Meghna’s birthday special. A wonderful experience all together. Ordered for The Cave Special Thali which came out to be really delicious. Although, I haven’t yet visited the restaurant but would love to explore The Cave. Being a hard-core non-vegetarian, I hardly put my steps inside any veg restaurant but this one stole my heart. Not just the food but also the ambience, it’s really thrilling to have your favourite meals amidst a cave like setting. Be it a couple dinner, a friends gathering, parties or a family get-together, The Cave opens its doors for a perfect stone-age feast. The Cave is one of the best pure veg restaurants in Kolkata which sets an uber-cool rustic ambience resembling the bygone era of the human evolution. The entire décor captures the enthralling feel of the Stone Age dining and offers a unique experience to be relished forever.